Combine season is in the books and the draft is just about a month away. 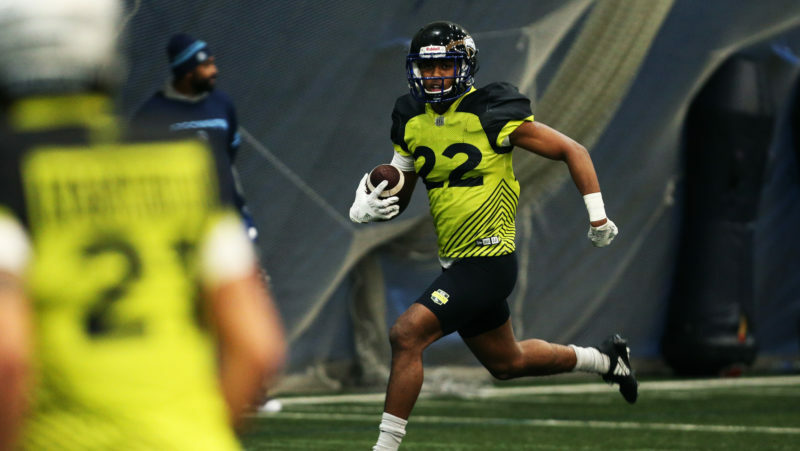 With that it’s time for the second mock draft of 2019, a speculative look at who could land where come the CFL Draft on May 2. 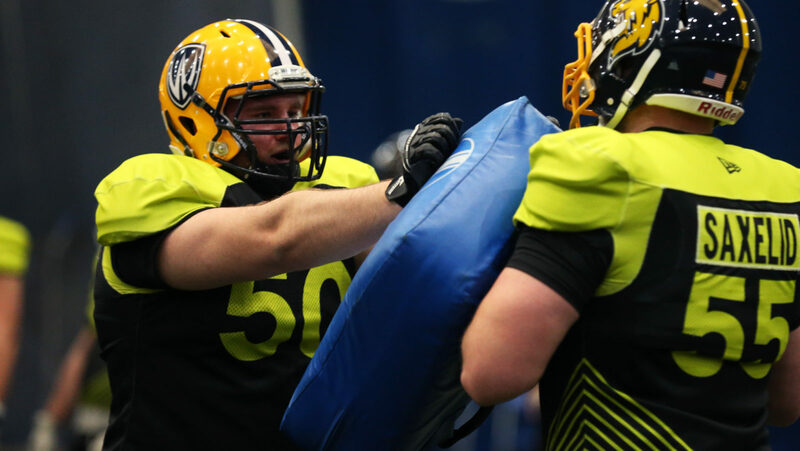 With stocks rising and dropping late last month in Toronto, the 2019 CFL Draft has an all-new outlook since the time Marshall Ferguson drew up his first mock draft. A lot can change between now and May 3 but in the meantime, how are things shaping up? Here’s Marshall’s second mock draft. 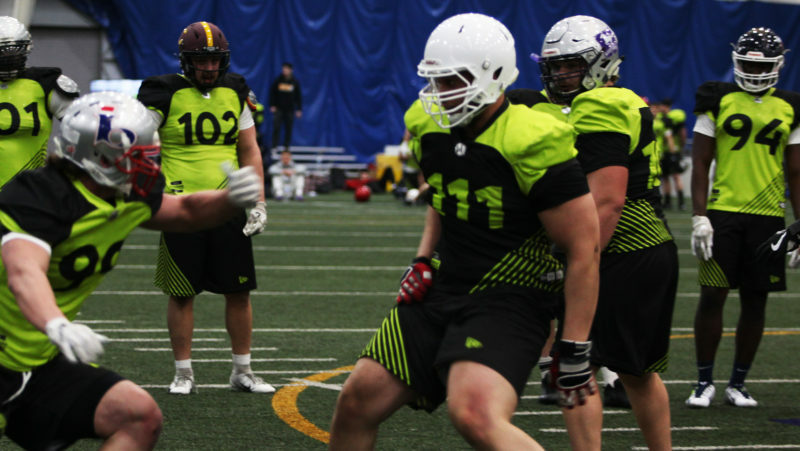 Desjarlais snuck up on many people – myself included – through the winter evaluation process but made a loud and clear statement at the CFL Combine presented by New Era in Toronto that he has the build, athleticism and mentality to be a first round pick. Toronto needs to start adding national depth on their offensive line to fool proof their near future. In 2018, the Argos took offensive lineman Ryan Hunter from Bowling Green who spent the season in Kansas City with the Chiefs and was recently re-signed to stay there. That means the Argos need a lineman ready to play sooner rather than later. Desjarlais is that player. Toronto native Alex Fontana had an outstanding pro day with the Kansas Jayhawks recently after deciding to skip the CFL Combine in order to maximize his pro day performance. Fontana measures in at six-foot-one and 298 pounds. He benched 225 pounds 29 times, broad jumped eight-feet, 10-inches, vertical jumped 27.5-inches, ran 5.20 in the 40, 4.84 in the shuttle and 7.78 in the three-cone. All of these numbers show his natural athleticism which, if paired with Hamilton’s Brandon Revenberg in the coming years, would be a terror for interior defensive tackles. June Jones loves the screen game and getting lineman in space. 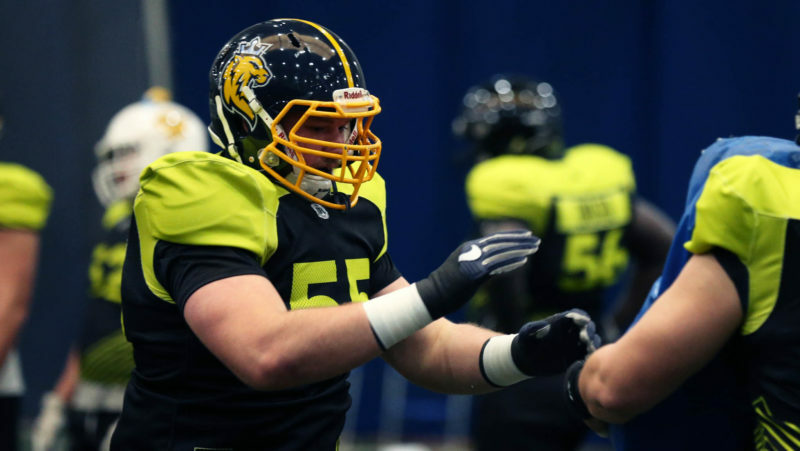 Having Fontana backup veteran Mike Filer for a year while being a fill in at either guard with Calgary’s Darius Ciraco and Revenberg would set the Ticats up for success over the next 5-10 years. 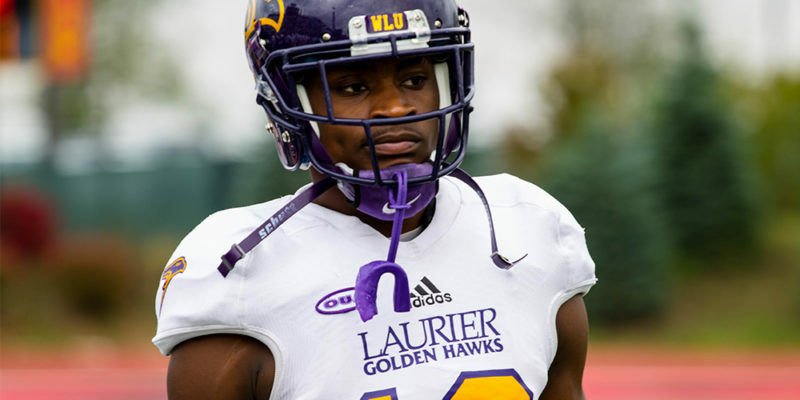 This might be a little too romantic of me, but I’d love to see Smith play with fellow Laurier standout Kwaku Boateng again and I don’t believe third overall is too high for Robbie based on his game film and combine performance. Put in the right situation, Smith should be an impact player as a national within two years. I believe Edmonton could be that soft landing spot for this big quick-footed Golden Hawk. Some at the CFL Combine were less than thrilled that Mathieu Betts pulled the plug on his appearance at the last second. That can sometimes hurt the draft stock but I don’t think it will with Betts. His raw size and motor are undeniable and could easily lead to him being taken over Smith but I sent Betts the Bombers way for the simple fact he could learn a lot from the leadership of linebacker Adam Bighill and refine his pass rushing working behind Willie Jefferson. 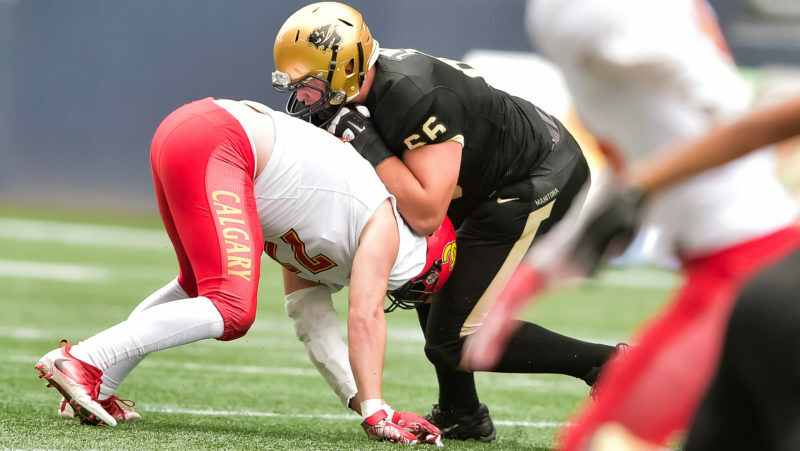 The Bombers lost defensive lineman Trent Corney in the off-season after the 25-year-old decided to retire following missing all but three games last season with an injury. Betts would be a natural plug and play replacement for the energy Corney brought off the edge. 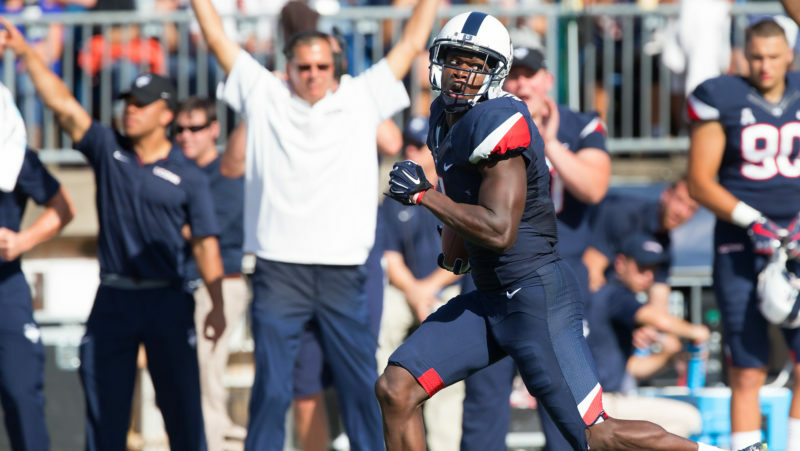 Despite all the – deserving – noise surrounding the talented crop of U SPORTS receivers this year there is no doubt in my mind after watching him play that UCONN’s Hergy Mayala is the most refined and ready to play CFL Draft eligible receiver in 2019. Mayala has a unique combination of smooth suddenness to his game that few others can offer and would work nicely in with Rashaun Simonise and Drew Wolitarsky for the Bombers. Saxeid is the real deal. He’s a size and athleticism combo capable of servicing spot duty just about anywhere across the offensive line. 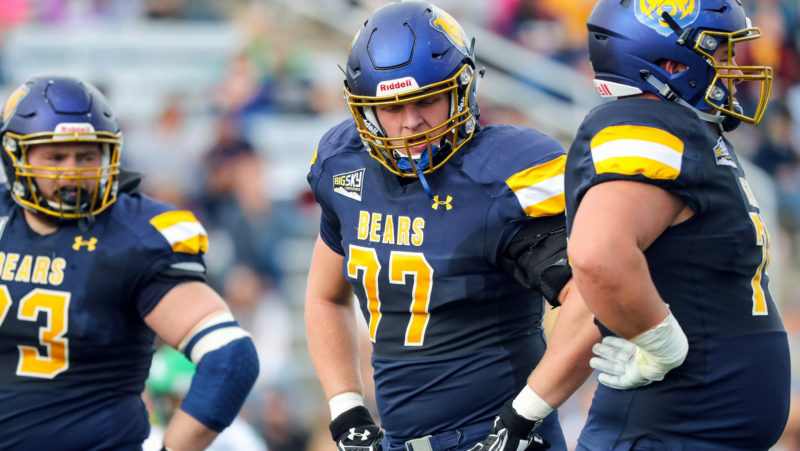 With 2017 offensive line draft pick Dariusz Bladek on his way back from a season-ending injury in October, this Runnin’ Rebel blocker could be a quick fix and a long term Rider lineman. Osei-Kusi blew people away at the National Combine. 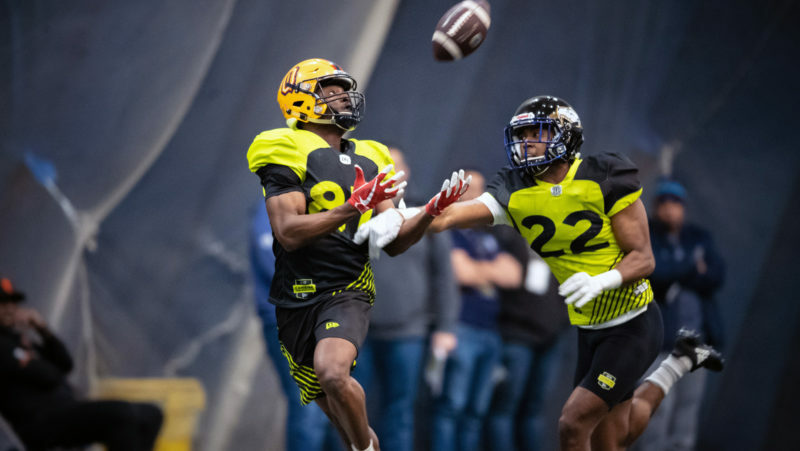 Be it through his 19 reps on the bench press, interviewing with a maturity beyond his years or running the fastest 40-yard dash of the CFL Combine, Osei-Kusi was one of the biggest risers in attendance at the national showcase. His one major detraction might be how to harness his raw athleticism as a polished receiver. Who better to learn From than fellow national Brad Sinopoli and possibly get some opportunities quickly on a team that will have to be careful not to run Sinopoli into the ground following the departure of Greg Ellingson and William Powell. 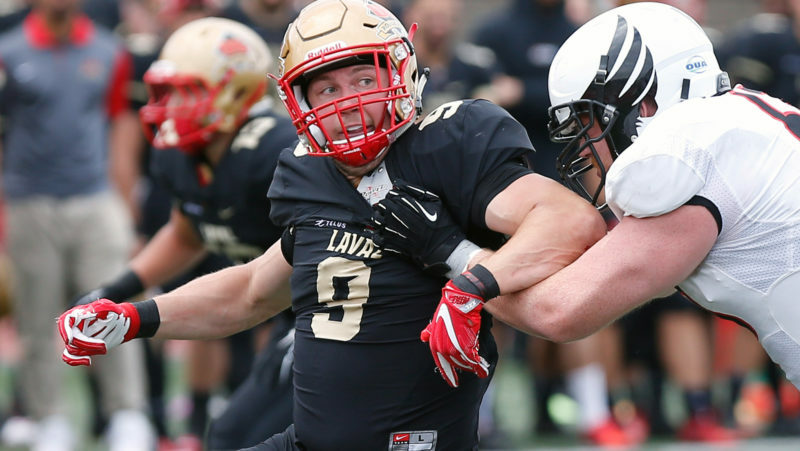 Gibbon showed at the 2018 East-West Bowl that he could block the best available players at left tackle including Laval’s Mathieu Betts. He won’t blow anyone away with top-end athleticism but when asked to win a one-on-one, Gibbon rarely loses. 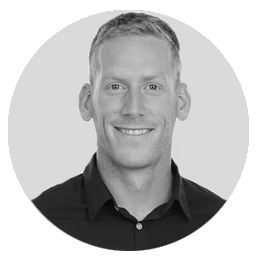 I have a hard time imagining Gibbon falling deep into the second round and with Gibbon’s hometown Ticats waiting in the wings early in round two, I could see Calgary adding some more top-end line play here in a player that will quickly earn their – and more importantly Bo Levi Mitchell’s – trust. McInnis is a unique body type with NCAA experience who could compliment Llevi Noel and Jimmy Ralph’s skill sets nicely as a bit of change of pace. Last year, Toronto took Regis Cibasu who went back to school in Montreal. If they’d like to get return on investment now, McInnis alongside S.J. Green, Armanti Edwards and Derel Walker would be an intriguing lineup. This is the final piece of the Mark Chapman trade with Montreal last season that saw Ryan Bomben exchanged for the top pick. Bomben served as a swing lineman while finding a stable home at right guard for a while in Hamilton. 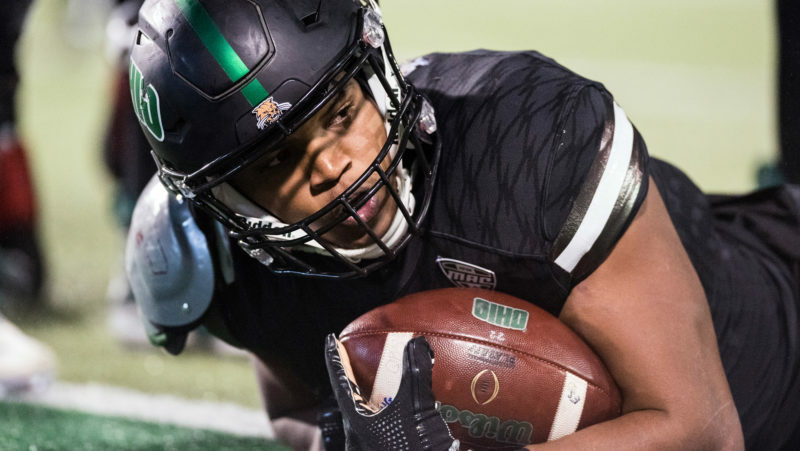 Williams could challenge Darius Ciraco for that spot while also possibly serving in the near future as Hamilton’s sixth offensive lineman in their tight end set that June Jones loves so much. That’s a role that was commonly held previously by another Bison alumni in Landon Rice. 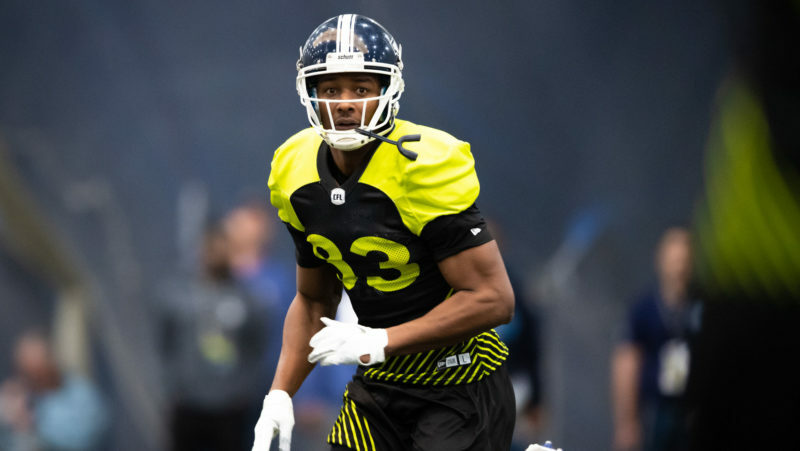 Kurliegh Gittens Jr. is the most accomplished receiver in the 2019 CFL Draft and I believe he’ll have success regardless of where he goes but his polished route running and quick releases creating separation against man coverage makes me believe he’d fit in well and has the ability to possibly make Hamilton forget about not seeing their top pick play last season. Edmonton lost Carleton grad Nate Behar in free agency to the REDBLACKS and could be in the receiver market, especially with a group like this. 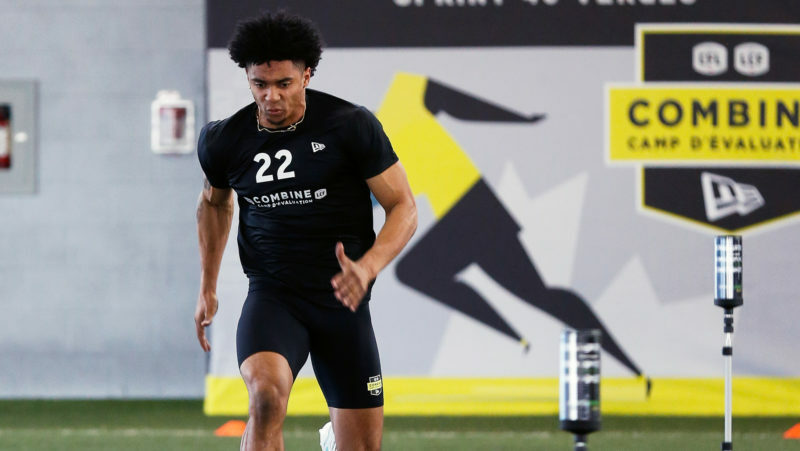 Julien-Grant showed top-end speed at the combine and I’d love to see him develop in Edmonton where all the attention will be on the overhaul at just about every major position offensively. After a difficult negotiation togged Behar to camp after being drafted, one has to think the Antigonish mindset of a Julien-Grant with his possible ceiling would be refreshing to Esks fans. Finally, Montreal gets to make a selection. This pick coming via BC from the Tyrell Sutton trade is an important one for Kavis Reed and he could do worse than acquiring a disruptive interior defensive lineman with Quebec roots. 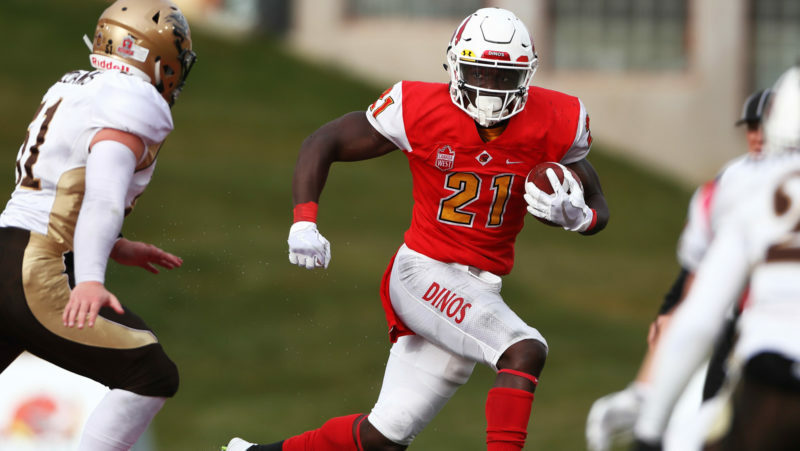 Winnipeg has clearly made an investment in the running back position with nationals like Andrew Harris and Johnny Augustine, who was acquired in 2018. Oliveira is a standout runner with great burst, even through contact who calls Winnipeg home. A home run second-round pick that could backfill when Harris needs a breather once every 10,000 carries. When one NCAA running back goes, I expect the next will very quickly. Irons downhill mentality should fit in well to what Stephen McAdoo is attempting to build offensively in Regina. Montreal needs some pop. Some burst. Some excitement! 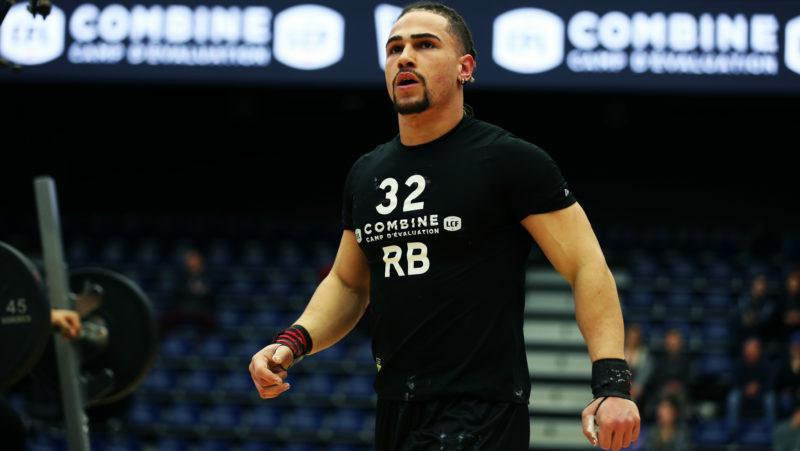 How about the most excitable athlete from the CFL Combine who can jump out of the gym and run away from man coverage to help out Antonio Pipkin? Ross strikes me as someone who will get into a camp, earn his stripes and make a big memorable play in the pre-season leaving Montreal’s staff little choice but to dress him Week 1. 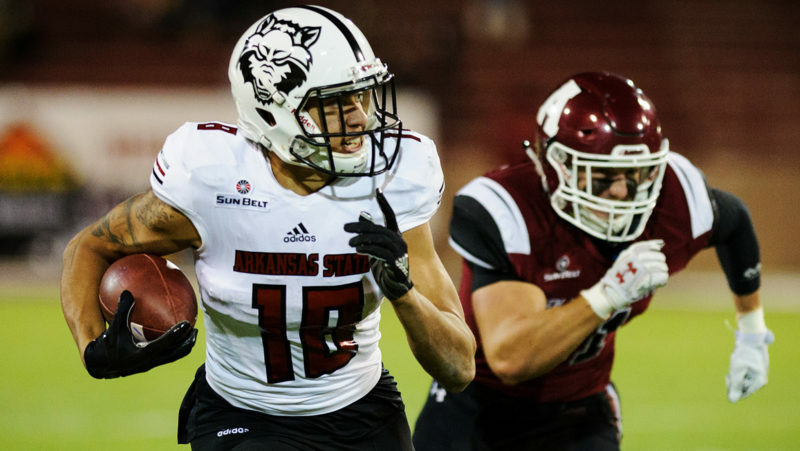 Lenuis-Dickey is an exceptional athlete who has gone through an unorthodox evolution from receiver at Washington to tight end at New Mexico. With some questioning his blocking ability at the national combine despite his size this one will be all about fit and I could see Dickey becoming a tweener full back/receiver weapon for Dave Dickenson’s Stampeders offence. Lee has length and pure speed with great blood lines. He could go anywhere earlier but with the Argos experiencing a roster evolution under Corey Chamblin, I see Lee’s natural talent as a great fit for the Double Blue. Montreal needs to get younger and faster on defence. Despite his challenging size, Boateng is the right fit for this roster right now alongside recent draft pick Dondre Wright. One of the more refined interior pass rushers in this draft alongside Desjardins, Griffiths would do well as an important young piece of a defensive line group that features Ted Laurent and Justin Vaughn returning from injury. Part of the Esks trade for Martese Jackson, this pick is all about finding a role an opportunity. Lyles has the ability to catch the ball out of the backfield like former Bison and current Argo Anthony Coombs. Pair QB James Franklin in a play action themed offence with Coombs, James Wilder Jr, Declan Cross and Lyles and you have yourself something to believe in with multiple backs flying in every direction. Kongbo suffered a season-ending ACL injury against Auburn last season but upon full recovery has every bit of talent you would imagine from a Canadian playing in the SEC. 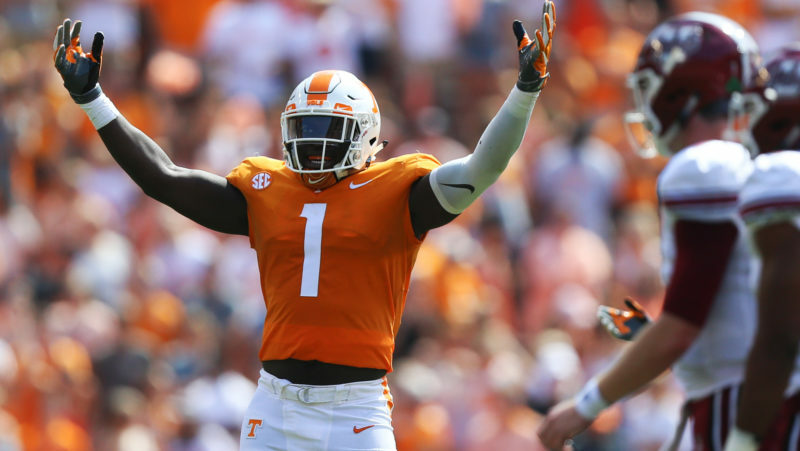 Hamilton has the luxury of depth on the defensive line and can wait until he’s fully healthy to unleash Kongbo on East Division quarterbacks. That’s something Davon Coleman did with regularity in Hamilton, the player traded to BC for this selection. Just like Oliveria, this one is either simple and straightforward or lazy and ignorant. LaChance was a Winnipeg Rifle, he has special teams experience, has played fullback and has great length as a defensive lineman capable of keeping blockers off his chest. The Lions lost Shawn Lemon to Toronto in free agency. 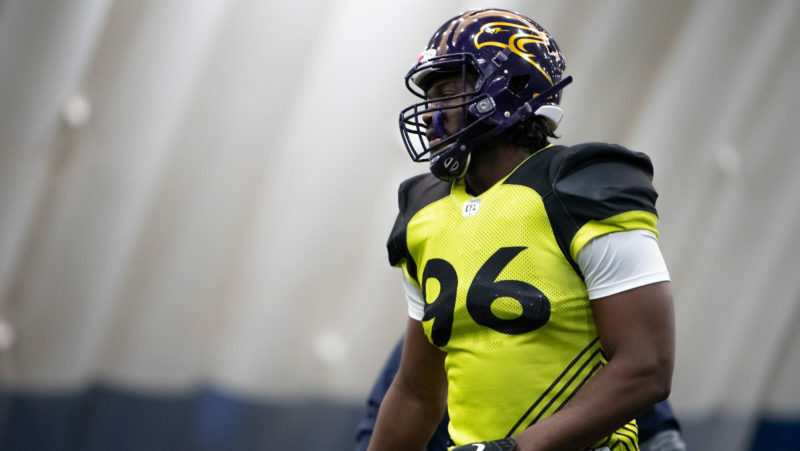 Why not add Anderson to match their recent picks of interior defensive lineman lie Junior Luke of Montreal and Julien Laurent of Georgia State? DeVone Claybrooks should be able to pair Mike Reilly’s passing attack with all kinds of unique personnel pressure packages in BC which could shake up the West in a big way. Anderson plays well into that theory and has the attitude to fight for playing time right now. Richards left the CFL Combine after refusing to test or compete but has undeniable size and Big 12 experience. 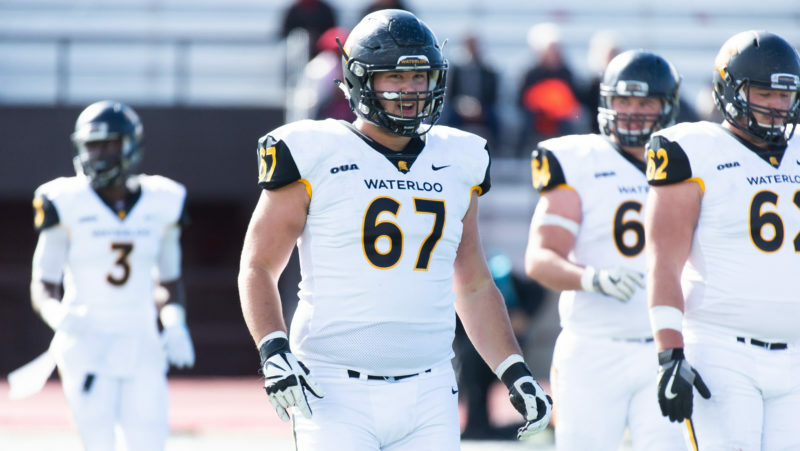 After SirVincent Rogers left for Edmonton in free agency, the REDBLACKS could take a value shot at Richards in theory piecing him together with Alberta’s Mark Korte and Saskatchewan’s Evan Johnson to form a nontraditional but effective Canadian trench triangle. 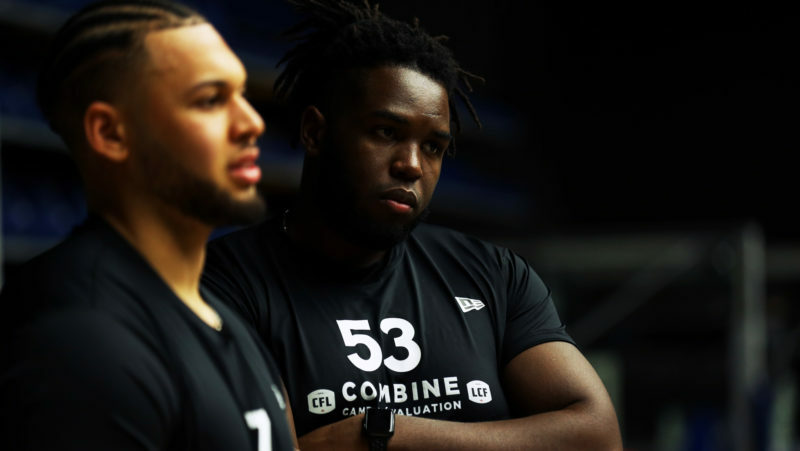 Calgary lost Tunde Adeleke to Hamilton in free agency and Johnson showed out at the Ontario Regional Combine leading to a National Combine invite. His recovery speed is elite which should fit well as a safety and special teams contributor in Calgary. Grant has the size to be a pro, he just needs to refine his skill set in a professional environment. I believe Toronto would be a great fit for him to develop into his AUS all-star body. The Alouettes greatest dream had to be drafting Antony Auclair and having him arrive on time. Auclair was taken by the Riders and is still in Tampa Bay with the Bucs. Why not take a shot here on Savard as a big bodied French pass-catcher from Laval that fans can get behind while he adds a dimension of size and physicality to the position not commonly foud in Montreal right now. Wilkinson could go much earlier but for now, I’m more worried about his situation than a number. Calgary would be a great spot for the Northern Colorado graduate to take his heavy handed approach and protect Bo Levi Mitchell as a depth fixture for the foreseeable future. Malik Richards is a difficult evaluation. His raw athleticism and pass snatching suggests a top 20 pick and you can’t discount him for not having more success based on the passing offence he played in at Mount A. Richards still found productivity in 85 catches and eight touchdowns over the last two seasons of AUS play. Speed, physicality and mentality. All a fit for DeVone Claybrooks new look BC Lions. One Thunderbirds free safety out the door, another one in? While Taylor Loffler, who left for Montreal in free agency, and Katsontonis are significantly different players, one U SPORTS coach told me they believe Stavros actually has a better chance to succeed in the CFL than UBC teammate Malcom Lee thanks to Katsontonis’ natural fit as a ranger ball hawking playmaker at free safety where Lee will have to evolve on the fly. Spencer Moore is off to Montreal this off-season and Saskatchewan is in the market for their swing fullback with hands-off the future. Ottawa’s selection of Alberta’s Ed Ilnicki at running back and the acquisition of McMaster’s Wayne Moore before he moved onto BC prompted this one. They have shown a willingness to invest in a national running back behind Brendan Gillanders and would do well to bring in this Canada West standout ball carrier. Thomassin’s prestige and film doesn’t lie. He’s ready to contribute quickly as a physical inside presence. Calgary’s draft should be all about Bo and Thomassin would be a welcome addition. 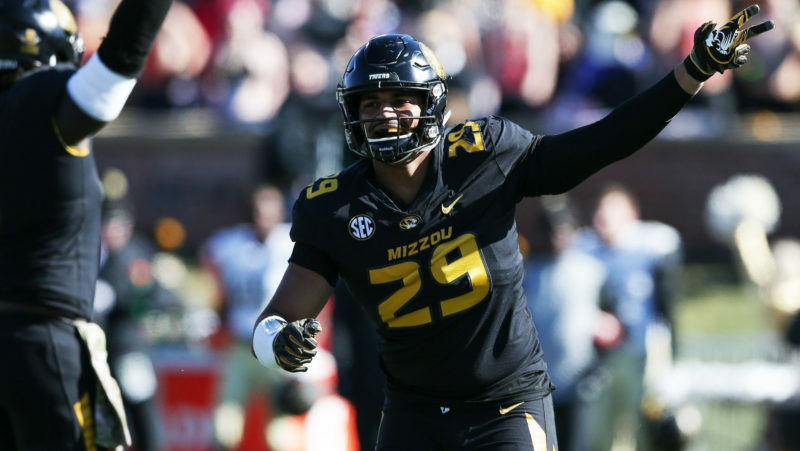 Sopik is perhaps the player most stuck between a rock and a hard place in the 2019 draft. Too small to be a linebacker, too slow to be a true defensive back and no real man coverage skills. Who cares. The kid can straight up ball. It’s all about fit often but this pick is one made in faith that you’re just getting a great football player. The Argos took Evan Foster from Manitoba a couple years ago who was in a similar spot between defensive end and outside linebacker. He’s made it work on special teams admirably alongside Nelkas Kwemo, the exact antithesis of build found in Foster or Sopik. Just a solid all around building block on a Montreal Alouettes offensive line that suddenly has top end NCAA talent in Tyler Johnstone from Oregon and last years second overall selection Trey Rutherford from UCONN. Hunter Karl is so under the radar, it’s crazy. He appeared in seven of eight games in 2017 with 767 yards on 50 catches including seven touchdowns, good for third in Canada West. I believe Karl could be the steal of the draft with five years of hindsight. Don’t be surprised if Karl becomes a Sinopoli-like contributor on a very talented and suddenly rebuilt Edmonton roster. Can you imagine a kid from Okotoks, Alberta hoisting the Grey Cup wearing green and gold in the stadium he played all his college ball come November of 2019? I can, how ‘bout that! What a sight it would be for his family and friends. I haven’t been able to get a true tell on Harry’s game other than to say he’s very physical and a quick-to-arrive defender. 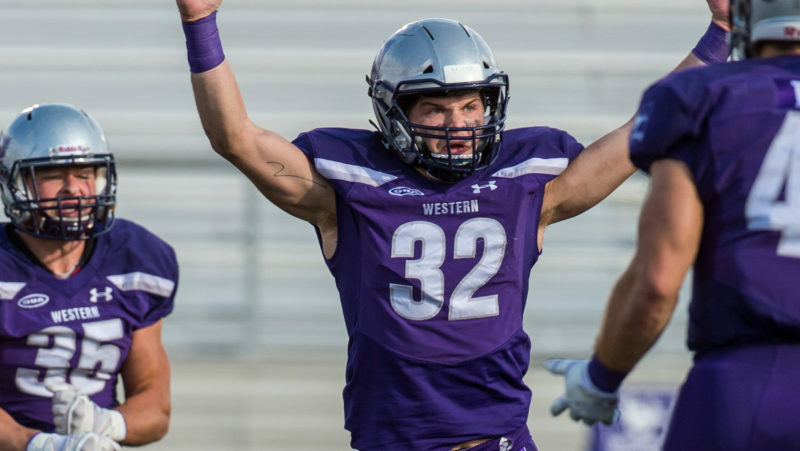 A day one special teamer with a chance to develop alongside Western’s Jordan Beaulieu and Laurier’s Godfrey Onyeka. Beaver fit in well at the 2018 East-West Bowl and could go significantly earlier but I have no doubt a team like BC with so much turnover would like to add him as a developmental piece behind recently re-signed Shaq Johnson. A physical interior linebacker capable of contributing on special teams quickly while learning behind tactician Adam Bighill. Guthrie is a mystery to many. 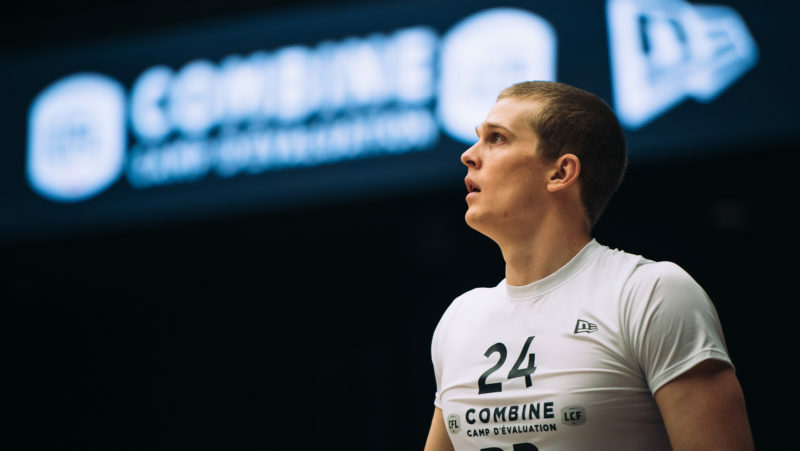 All it takes is one team to fall in love and many appeared to after he dominated pass rush one-on-ones at the Ontario Regional Combine. Dearborn has all the athleticism in the world to cover sideline to sideline in space, he’s just not a true every down defensive back at any position. 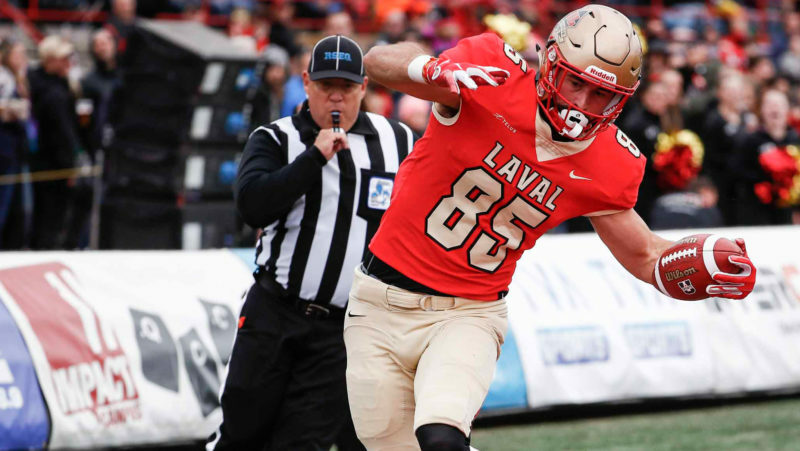 Let the REDBLACKS take this Sydenham High School grad from North of nearby Kingston, Ontario and develop him on special teams to be a game changer alongside fellow freaky teamer, Laval’s Marco Dubois drafted by GM Marcel Desjardins last year. Think Justin Sorensen from last years draft. Jerome is an undersized centre type that showed a superior level of physicality during Ontario Regional one-on-ones.